In the week and a half that mon mari has been home he's designed and started work on the frames and doors. The day he was discharged we stopped and bought the hinges. The doors are lined up, in various stages of completion, in his shop in the barn. He took a spin on the lawnmower today. With any luck I can turn over that job! He also ordered a new glass table top for our outdoor table; checked out some staircases for the next stage and installed my oven. That's the big news. Finally, after 9 months I have a working oven! I even used it last night… And it didn't start on fire or blow up or anything! All of the above is a lot more than I expected; he really can't stand to be idle! For the record: he does take frequent breaks and the occasional nap. And I try to feed him well…. In a small bowl whisk together soy sauce, ketchup, vinegar, oil, garlic and oregano. Put chicken breasts in a glass baking dish and pour marinade over. 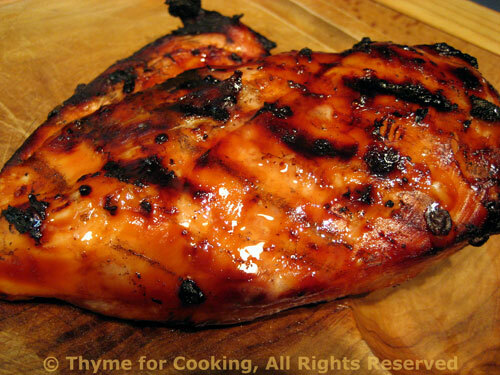 Let marinate for 15 – 20 minutes or up to 2 hours. Cook on barbecue grill for 8 – 12 minutes per side or until done, basting with any leftover marinade. Remove chicken, slice at an angle in 1/4" (.6cm) slices and serve. What a wonderful thing! To know that he is not only up and about but engaged in creating doors. That’s a very positive sign……. 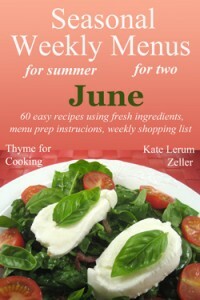 And chicken breasts can never have too many recipes for the grill – they are a staple of summer eating. Oooo best not to forget how simple and fantastic chicken on the grill really is. That is beautiful. Breaks and naps AND getting things done … that’s got to be good for him! I never worry about you cooking good things for him. The grilled chicken looks fabulous. Recommendation: make the BBB knotted buns. I think you need them for your adult hamburgers. I started drooling over that photo. Sounds like a great recipe, can’t wait to try it! Toni, and I just found a new butcher shop that has the BEST chicken! Tanna, yeah, all things in time…must learn patience. Elizabeth, I used it to make a baguette – we can buy them ready for baking…. Val. any progress is a blessing.